Armed Forces Day (Día de las Fuerzas Armadas) in the Dominican Republic is celebrated on February 25. It commemorates the anniversary of the foundation of the country's military and the birthday of Matías Ramón Mella, a national hero of the Dominican Republic. Mella was born on February 25, 1816. In 1838, he became one of the founders of La Trinitaria, a secret society designed to fight for the independence of the Dominican Republic from Haiti. On February 27, 1844, Dominican patriots proclaimed the independence of the Dominican Republic. It is said that it was Matías Ramón Mella who fired the first shot to end hesitation and encourage his brothers-in-arms to proclaim the independence. February 27 is considered the birthday of the Armed Forces of the Dominican Republic. However, it is also the country's Independence Day. So it was decided to separate two holidays and designate Mella's birthday as Armed Forces Day. Nevertheless, the festive military parade is typically held on Independence Day. 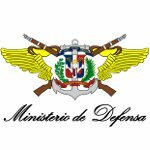 The Armed Forces of the Dominican Republic consists of three branches: the Army, Navy, and Air Force. About 60% of the active personnel are utilized primarily for non-military operations.